SPOTLIGHT: History’s most momentous climate decision was based on research so preliminary it wasn’t published in a scientific journal until seven months later. BIG PICTURE: In 1995, a 40-year-old climate modeller named Ben Santer was in charge of Chapter 8 of the UN’s upcoming Intergovernmental Panel on Climate Change (IPCC) report. Nothing in the other 49 chapters mattered more than the question his team was expected to answer: Was global climate change wholly natural – or was it partially caused by human activity? 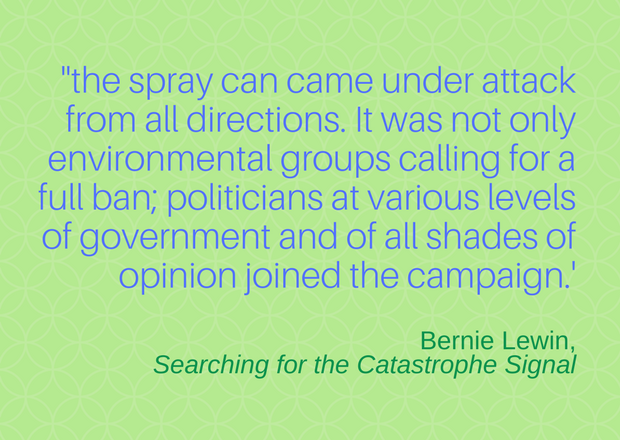 In Searching for the Catastrophe Signal , Bernie Lewin explains that Chapter 8 relied partly on research papers that hadn’t yet been published. The larger scientific community had had no chance to examine them, test them, or reflect on their significance. But then matters took a sharp turn. Late in the process, Santer presented fresh findings to an IPCC meeting, arguing that he’d identified a human ‘fingerprint’ in the temperature data. 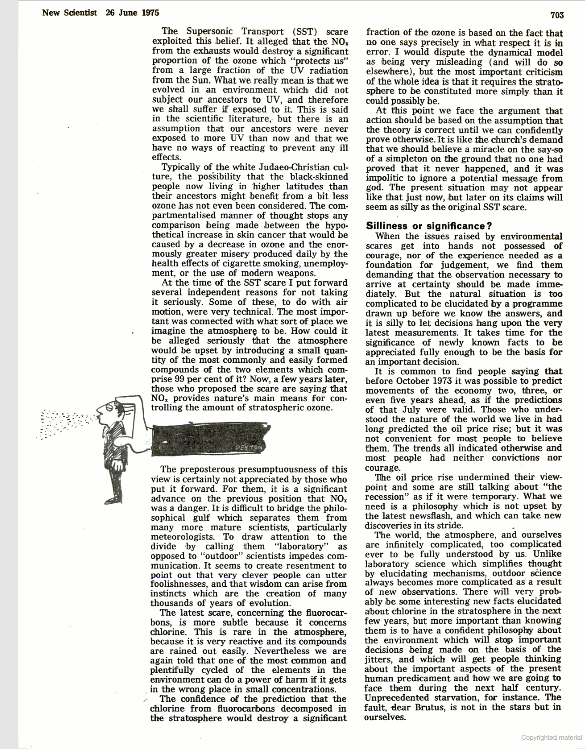 Lewin says Santer’s claims were “vigorously opposed by several experts.” Nevertheless, the text of Chapter 8 was changed and a copy of the new version was leaked to the New York Times. Its front page proclaimed a breakthrough. At a follow-up meeting that November, despite additional internal protests, the IPCC adopted a new position: “The balance of evidence suggests a discernible human influence on global climate.” Note the tentative wording: Suggests. Balance of evidence. There’s nothing clear-cut here. This was a judgment call. Lewin calls this the “most important line of any IPCC report.” Without this last minute change, the IPCC would have concluded three times in a row that it could find no sign that humans were altering the climate. That would have been highly inconvenient since a UN treaty orchestrating action against dangerous, human-caused climate change had been adopted back in 1992. The research that tipped the balance was so preliminary it wasn’t submitted to a scientific journal until four months after the November meeting and wasn’t published until July 1996. TOP TAKEAWAY: When making its most important decisions, the IPCC relies on unpublished research that hasn’t been seen, examined, or tested by the larger scientific community. 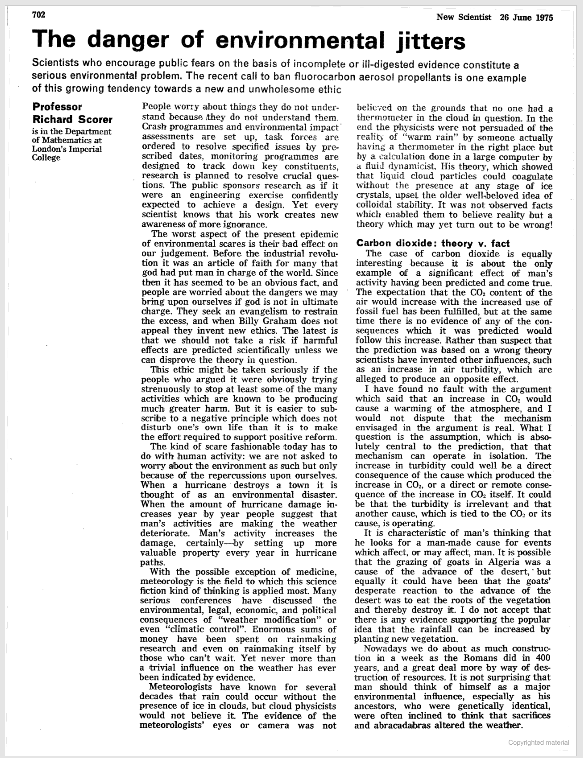 the quote at the top of this page comes from a fantastic 1975 essay by Richard Scorer mentioned in Lewin’s book. Read part 1 here and part 2 here. related commentary: Crucial Climate Verdict, Naked Conflict-of-Interest and Dangerous Climate Change: No Smoking Gun. This entry was posted on January 26, 2018 by Donna Laframboise in climate bible, ethical & philosophical, IPCC, quotations and tagged Ben Santer, Bernie Lewin, Intergovernmental Panel on Climate Change, IPCC.